The following is from a letter that the late Supreme Court Justice Antonin Scalia wrote to the Presbyterian pastor who presided at the funeral of Justice Lewis Powell back in 1998. Scalia refers to “encomiums”—what we Methodists might call eulogies—which, Scalia says, are forbidden at Catholic funerals, in principle if not practice. I didn’t realize until too recently—I say to my shame—that the funerals I presided at were mostly encomiums. For the past four or five years, however, I’ve shared Scalia’s conviction that the primary purpose of funerals is to proclaim the gospel and our resurrection hope. Of course, if Scalia is right—and I’m sure he is in this case—I also need to proclaim the gospel at weddings! Good heavens, if I received any such letter from a sitting Supreme Court justice, I’m afraid my head wouldn’t fit through the door! I hope the Rev. Dr. Goodloe is more humble than I am! I looked for you unsuccessfully at the luncheon following the funeral yesterday. I wanted to tell you how reverent and inspiring I found the service that you conducted. Perhaps the clergymen who conduct relatively secular services are moved by a desire not to offend the nonbelievers in attendance—whose numbers tend to increase in proportion to the prominence of the deceased. What a great mistake. Weddings and funerals (but especially funerals) are the principal occasions left in modern America when you can preach the Good News not just to the faithful, but to those who have never really heard it. Many thanks, Dr. Goodloe, for a service that did honor to Lewis and homage to God. It was a privilege to sit with your congregation. Best regards. In the scripture we looked at in last week’s service, John 4:16-30, the Samaritan woman asks Jesus to settle a theological dispute: Where is the proper place to worship God? Is it on Mt. Gerazim, where Samaritans worshiped, or on Mt. Zion, where the Jews worshiped? As I’ve said elsewhere during this sermon series, when Jesus refers to his “hour,” he is saying something about the cross. So in this case he’s saying that his death on the cross will make the location of worship obsolete. First, consider this: in the Old Testament, when human beings got very close to God, they feared for their lives. One example is the prophet Isaiah, who saw the Lord in the Temple and said, “Woe is me! I am ruined! For I am a man of unclean lips, and I live among a people of unclean lips, and my eyes have seen the King, the Lord Almighty.” Isaiah understood that a sinner can’t get too close to a holy God–without being utterly destroyed! This is why priests in the Temple were rightly afraid of going into the Holy of Holies, the place where the Ark of the Covenant used to be located, the place where only the high priest could enter once a year, on the Day of Atonement. These priests understood that since God’s presence was manifested in a special way in that small room, they were risking their lives by entering into it! All that to say, because of their sin, even God’s people were separated from God. And this separation was symbolized by the large, thick curtain that cordoned off the Holy of Holies from the rest of the Temple. Now remember what happened the very moment of Jesus’ death? The curtain that separated the Holy of Holies from the rest of the Temple was torn in two. This was a miracle that God used to symbolize what Christ’s death accomplished: Through faith in Jesus Christ and his atoning death on the cross, our sin can no longer be a barrier separating us and God. Because on the cross, during Christ’s “hour,” an exchange took place: Christ took our sins upon himself and suffered the penalty of death and hell for us. And not only that: it’s as if Christ has given us his righteousness. On the basis of Christ’s righteousness, we are now holy in God’s eyes. Jesus makes this clear to Mary Magdalene in John 20, after the resurrection, when he tells her that he’s “ascending to my Father and your Father, to my God and your God.” Because of the cross, we can have the exact same relationship with the God the Father that Jesus has! Far from having to go to a particular temple, on a particular mountain, to be close to God, our very body is now a temple in which God lives (1 Corinthians 6:19-20)! If that doesn’t make you say, “Amen,” I don’t know what will! What Christian isn’t a creationist? O.K., my headline is slightly tongue-in-cheek. I’m well aware that “creationist” is a technical term that means not simply that God designed and created the world in which we live, but that he did so in a way that is consistent with a particular interpretation of Genesis 1 and 2. I almost wrote “he did so in a way that is consistent with Genesis 1 and 2.” But if I put it that way, then that would make me a creationist, and I don’t want to be one of those! I might be lumped in with the Ken Hams of the world. Never mind that Ken Ham knows a lot more about biology than I do (and nearly any other Methodist minister who shuns the label “creationist”), having learned everything I know from a ninth-grade textbook I only half-understood at the time. But if I reject Ken Ham then I’ll be one of those “respectable” kinds of Christians—wink, wink—who “knows better” than to take the Bible’s creation account seriously—and who is “smarter” than those bumpkins who call themselves creationists. I bring this up on the heels of yesterday’s post because of a controversy surrounding Dan Walker, a popular television host with the BBC, who came out last week as—gasp!—a creationist! His condemnation in the news media was swift and severe. How can he be trusted to read news off a tele-prompter if he holds these beliefs? This may come as a shock to the British journalistic community but those who believe in God tend to believe that he created everything. The question – which apparently they have neither the intelligence or the courtesy to ask – is what kind of creationist is Mr Walker? There are Christians who are theistic evolutionist creationists, old earth creationists and young earth creationists. On the basis of one statement from a spokesperson, many journalists made the assumption that it was the latter that was being spoken of. And why is this news at all? Who cares? He is a TV presenter! The only people who care are those who want to introduce American style culture wars into the UK, and who view creationism as a bogeyman which enables them to vent their anti-religious prejudice and feel self-righteous while doing so. Beyond scientific doubt, the earth is many millions of years old. Radiocarbon (and -uranium and -potassium) dating tells us that Bishop Ussher was wrong: the earth was not created in 4004BC. But don’t some creationists hold to the Apparent Age theory? Adam was created on the sixth day. On the seventh day, how old was Adam? 33 years or just one day? Forget whether he had a navel or not, you see the point: God reveals Himself through His created universe in very many and mysterious ways. It may offend against common sense, but the God who can raise a man from the dead is perfectly capable of creating trees with rings in them. Who (among Christians) doesn’t believe in intelligent design? 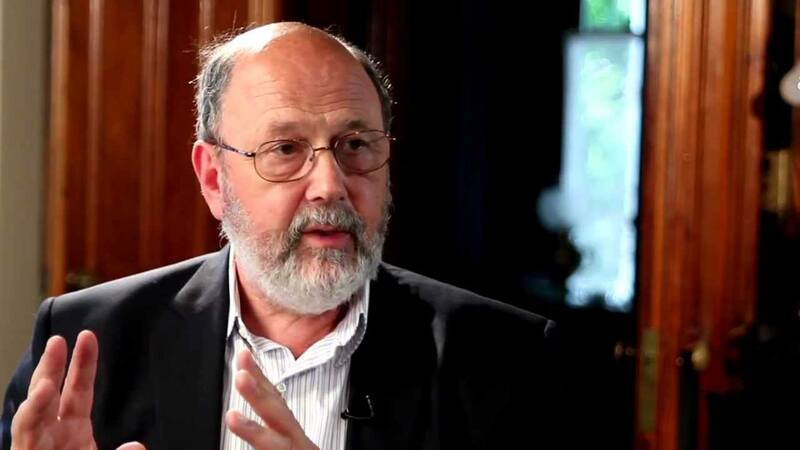 Recently, our very own United Methodist Church made news by preventing Seattle-based intelligent design advocacy group, Discovery Institute, from sponsoring an information table in the exhibit hall of our upcoming General Conference in Portland, Oregon. This is the first year that the UMC has allowed outside organizations to have such tables. These organizations help foot the bill for a very expensive conference. Apparently, the Discovery Institute’s message is so dangerous that the UMC has to protect conference-goers from being exposed to it. Taking the Discovery Institute’s claim at face value, what Christian doesn’t believe this? Who (among Christians) doesn’t think that the universe offers evidence of purposeful design? What’s wrong with an organization that attempts to make that case? Among other things, something called “science” doesn’t make authoritative claims about anything; scientists do. Inasmuch as scientists say that geology, biology, and cosmology can account for the creation of our universe and the origin and development of life independent of a Creator, these scientists are wrong. Indeed, they are making “authoritative claims about theological issues,” which also violates our Social Principles. If officials at the UMC don’t think that scientists often make these claims, they’re not paying attention. I get it: any scientific description of “how we got here” will leave God out. Because the scientific method excludes the metaphysical by definition. Therefore, while any such scientific description may be truthful as far as it goes, it will never go far enough. Again, what’s wrong with saying so—especially to an audience of Christians? A friend of mine described the reaction when he went home, as a young teenager, and announced to his mother that he’d become a Christian. Alarmed, she thought he’d joined some kind of cult. ‘They’ve brainwashed you!’ she said. He was ready with the right answer. Of course, he hadn’t been brainwashed. In fact, again and again—and this was certainly the case with my friend—when people bring their lives, their outer lives and inner lives, into the light of Jesus the Messiah, things begin to come clear. If anything, it’s our surrounding culture that brainwashes us, persuading us in a thousand subtle ways that the present world is the only one there is. This is seldom argued. Rather, a mood is created in which it seems so much easier to go with the flow. That’s what happens in brainwashing. What the gospel does is to administer a sharp jolt, to shine a bright light, to kick-start the brain, and the moral sensibility, into working properly for the first time. 1. N.T. Wright, John for Everyone Part One (Louisville: WJK, 2004), 43-4. Assuming this gentleman, called the “sexiest teacher alive” by People Magazine, said the words attributed to him in this meme, he needs to read the Bible more. It says nothing about left-handedness being sinful, nor has the church ever interpreted the Bible to say that left-handedness is sinful. In fact, Judges 3:15 says the following about Ehud: “Then the people of Israel cried out to the Lord, and the Lord raised up for them a deliverer, Ehud, the son of Gera, the Benjaminite, a left-handed man.” Ehud is able to slay the evil King Eglon, we’re told, because of Ehud’s left-handedness. You can read about it here. But why let facts get in the way of this popular progressive Christian narrative—that we theologically conservative Christians “pick and choose” what parts of the Bible to believe, and who could possibly take the Bible seriously, anyway? 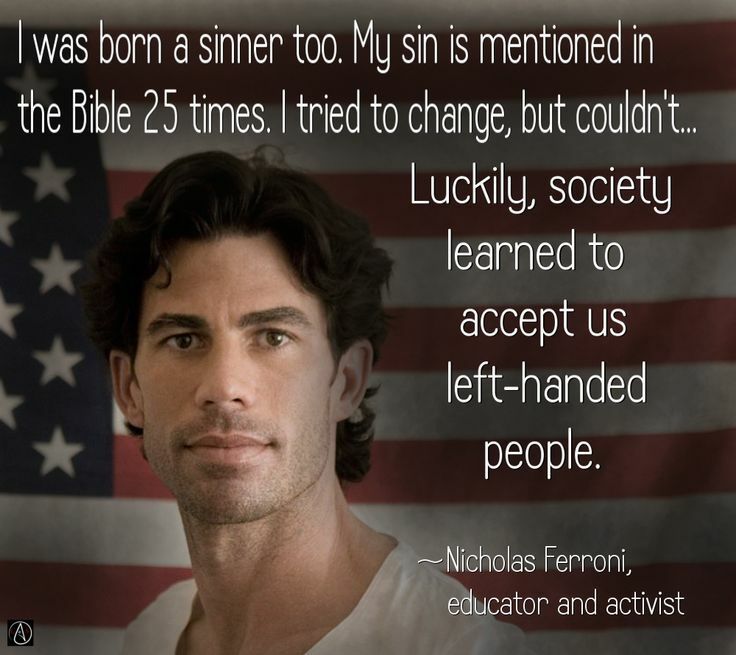 Please note: It’s true that Mr. Ferroni, alongside me and everyone else, was born a sinner. At least he got that right! I have had this same conviction for a few years, as I’ve blogged and preached about a lot. All of us, Christian or not, need to hear the gospel constantly. I hope I preach it, in one way or another, in every sermon. A strong belief of Luther, and those who follow in his footsteps, is that people should not be enticed to church by the Gospel and then, after believing, turn toward self-improvement. The Law always kills, and the Spirit always gives life. This death and resurrection of the believer is not a one-time event, but must be repeated continually: It is the shape of the Christian life. 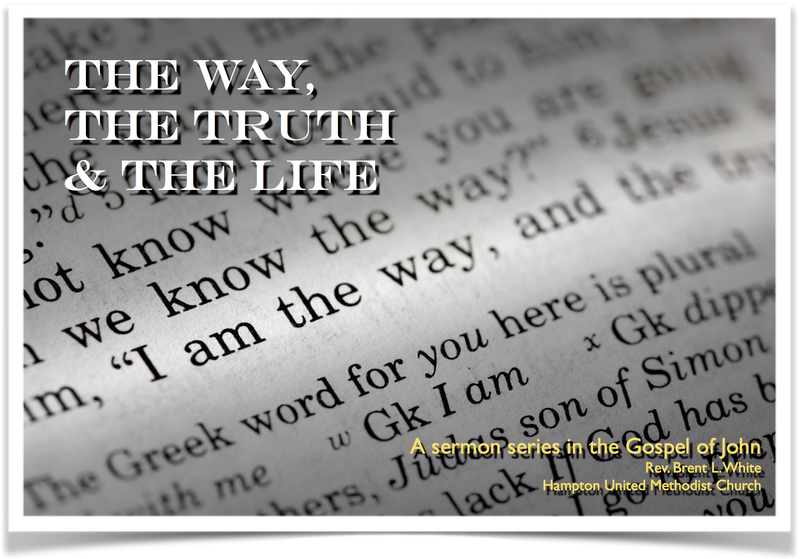 On Sundays, therefore, some form of the Law is ideally preached to kill, and the Gospel to vivify—”the letter kills, but the Spirit gives life” (2 Cor 3:6). But in many situations, the Law is mistakenly preached to give life, on the assumption that the believer, unlike the new Christian, has the moral strength to follow the guidelines. This leads to burnout, often producing agnostics or converts to Eastern Orthodoxy. Words like ‘accountability’ or ‘intentionality,’ for example, are sure signs that the letter, rather than the Spirit, is being looked to for life. To help distinguish this form of misguided Law from the Gospel, here’s a handy guide. Listen for a distortion of the commandment: Anytime a hard commandment is softened, such as “Be perfect” (Mt 5:48) to “just do your best,” we’re looking to the Law, not the Gospel, for life. Discern the balance of agency: If you’re in charge of making it happen, it’s misguided Law. If God’s in charge, it’s Gospel. If it’s a mixture, it’s Law. Look for honesty: If you or others either seem ‘A-okay’ or ‘struggling, but…,’ then likely it’s because the Old Adam is alive and well (there will also be a horrible scandal in the next three months). If people are open and honest about their problems, such freedom shows the Gospel is at work. 6. Watch for the view of human nature, or anthropology: If human willpower, strength, or effort are being lauded or appealed to, it’s Law. High anthropology means low Christology, and vice-versa. 1. 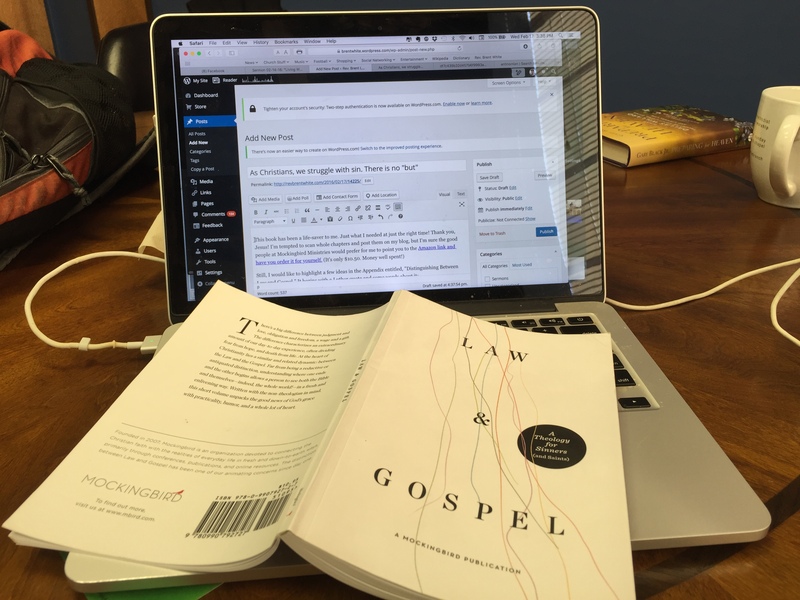 William McDavid, Ethan Richardson, and David Zahl, Law and Gospel: A Theology for Sinners (and Saints) (Charlottesville, VA: Mockingbird, 2015), 85-6. Biblically speaking, men meet their future wives at wells. It happened for Isaac, Jacob, and Moses. Jesus, of course, was never married, but he’s well aware of the symbolism of his speaking to this Samaritan woman at a well. He knows that throughout the Bible, God is often depicted as husband or bridegroom to his people, Israel, his wife or bride. In the New Testament, Paul and the Book of Revelation also pick up this theme. So on Valentine’s Day 2016, we’re studying a scripture that points to the greatest, most romantic love story ever told: that Jesus, God the Son, left his Father and his home in heaven in order to cleave to his bride—the church, those of us who believe in Christ—and “become one flesh” with us. I am directionally impaired. In other words, I’m terrible with directions. 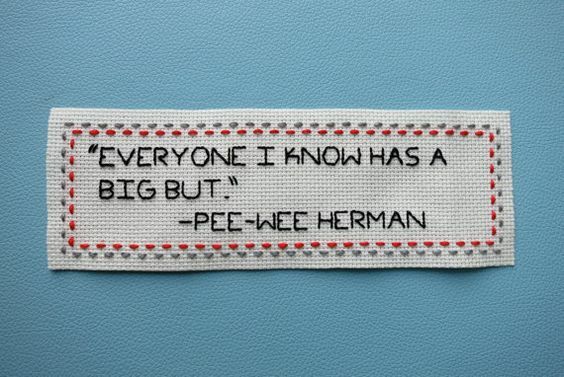 I always have been. I confess that my sense of direction gotten even worse in this age of GPS. I use Google Maps almost all the time now! But I use it, not just to know how to get from Point A to Point B, but also how to get from Point A to Point B as quickly as possible. Google Maps does a nice job of directing me around traffic. Even this past week, I was taking my son Ian to his elementary school, which is just a few miles form our house. You just make one left turn out of our neighborhood. This past week, however, there was an accident blocking the entire road 50 yards from my intersection. I had to make that one left turn, but that one left turn was blocked. So how do I get around it, so that I can get to my son’s elementary school? In today’s scripture, John the Baptist is not like most of us: Instead of being unhappy that his own work is declining in popularity, he’s happier than he’s ever been. Why? Because he understands that what matters most isn’t his own personal glory, but Christ’s glory. He understands that in spite of this apparent setback, God is in control and God is working his plan for him and the world. If this is true for John, it’s true for us as well. God is always working his plan for our lives, even in the face of mistakes, failures, and setbacks. Show of hands… How many in here are rooting for the Broncos? How many are rooting for the Panthers? How many are rooting for the commercials? I am 45, so I’m cheering for the guy who’s very close to my age, Peyton Manning. I’m sentimental; I would love to see him get his long-sought-after second Super Bowl ring before retiring riding and off into the sunset. It would be a storybook ending to his career; it would seal his legacy as one of the best who ever played the game; it would silence all the skeptics who wonder why he wasn’t more effective in the playoffs. But what if he doesn’t get the storybook ending? What if the Broncos lose? 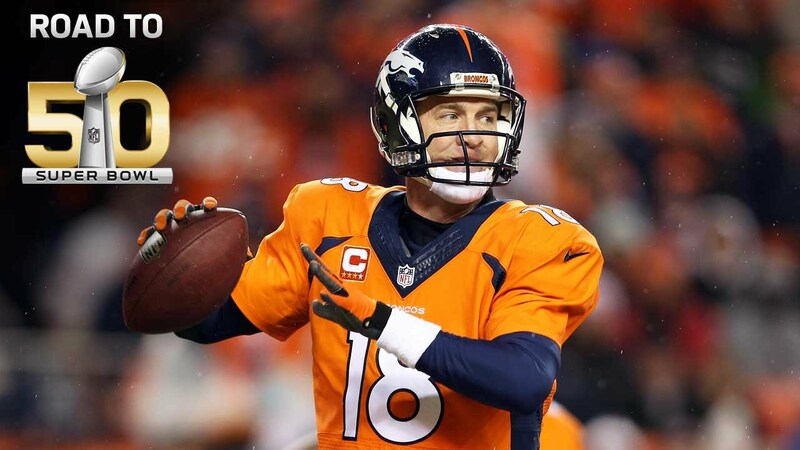 How will Peyton live with the disappointment, the sorrow, the heartbreak, the failure? When do we Christians cease being “blessed,” hashtag or otherwise? My daughter sent me a link to this heartbreaking op-ed in yesterday’s New York Times. The author, Kate Bowler, a professor at Duke Divinity School, has Stage IV cancer. Her area of expertise is the prosperity gospel in America, and in this article she relates the promises of that movement’s theology to her terminal disease. Proponents of the prosperity gospel, she said, want to have control over their lives: they believe there’s no problem they can’t solve by reciting the right words and believing the right doctrines. In so many words, it’s always within their power to persuade God to do their bidding. If Oprah could eliminate a single word, it would be “luck.” “Nothing about my life is lucky,” she argued on her cable show. “Nothing. A lot of grace. A lot of blessings. A lot of divine order. But I don’t believe in luck. For me luck is preparation meeting the moment of opportunity.”This is America, where there are no setbacks, just setups. Tragedies are simply tests of character. It is the reason a neighbor knocked on our door to tell my husband that everything happens for a reason. “I’d love to hear it,” my husband said. “I’d love to hear the reason my wife is dying,” he said, in that sweet and sour way he has. My neighbor wasn’t trying to sell him a spiritual guarantee. But there was a reason she wanted to fill that silence around why some people die young and others grow old and fussy about their lawns. She wanted some kind of order behind this chaos. Because the opposite of #blessed is leaving a husband and a toddler behind, and people can’t quite let themselves say it: “Wow. That’s awful.” There has to be a reason, because without one we are left as helpless and possibly as unlucky as everyone else.